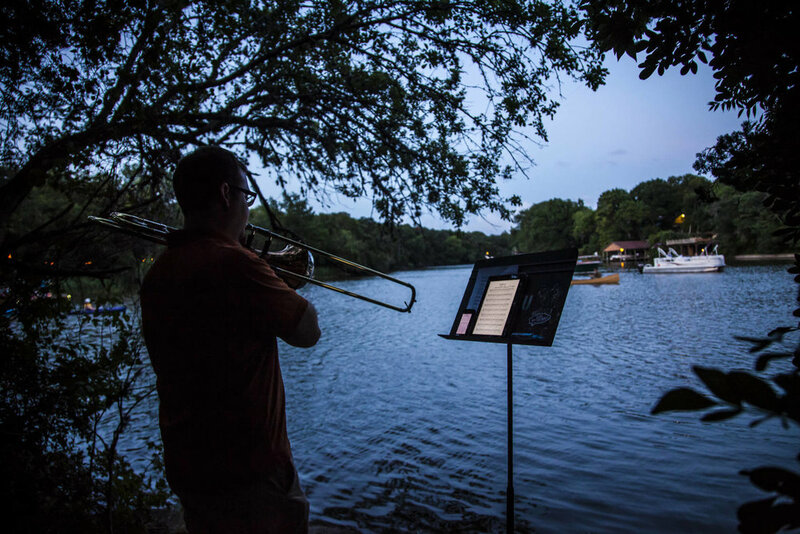 Twelve trombonists positioned around the lagoon play meditative music across the water to one another at dusk and dawn while the music is cued via flags from a canoe in the lagoon. Music for Wilderness Lake, a 1979 work of environmental music written by Canadian composer and sound theorist R. Murray Schafer, explores the variable natural soundscape present at these transformative times of day. 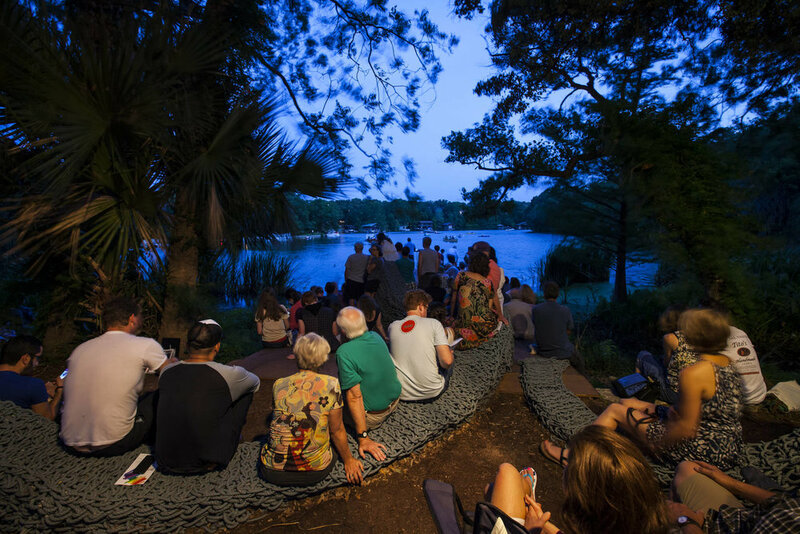 Part of The Contemporary Austin’s Sound Series.